Who's gonna confirm this is there? @The Gay Gatsby, Not that, the very arrestable police station. 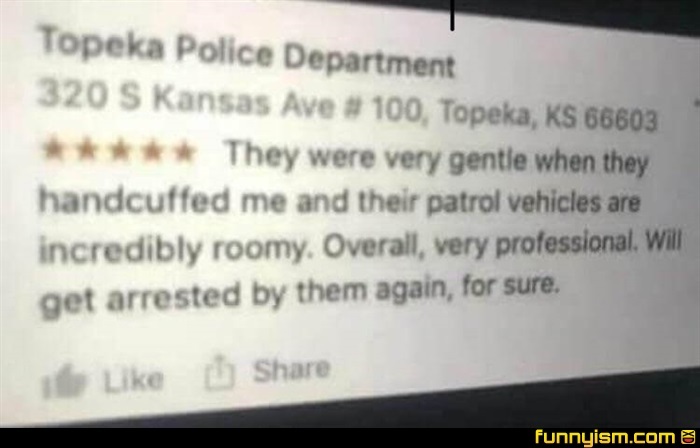 @Chicken0War, my great uncle bud was a cop for Topeka about a decade ago he was a pretty nice guy. On my way to get arrested!